Bengaluru, 29th May, 2018: Bengaluru’s favourite shopping and entertainment destination, Phoenix Marketcity brought back the immensely popular F&B extravaganza, BrewBQ Festival 2018 for Bengaluru party lovers. 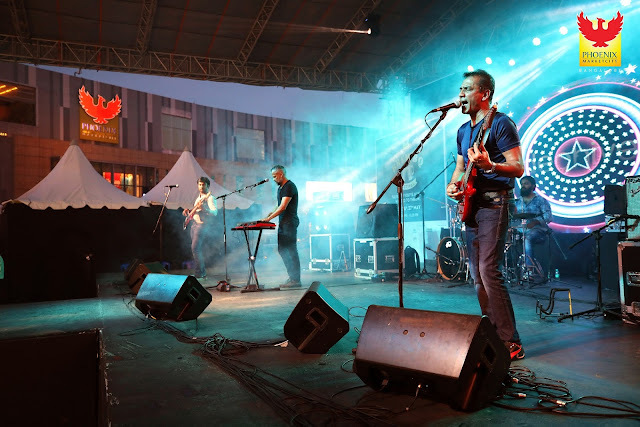 The top of the line food festival combined with some of the most loved brews and music from the ever-popular bands and DJs made it a weekend to remember for the revellers of the Garden City. The three-day long extravaganza offered lip smacking live barbecue, variety of brews. Barbecue and cocktail making masterclass from renowned chefs and mixologists, scintillating live performances and foot-tapping dance music played by leading DJs. Brew BQ brought together the food enthusiasts, music lovers and party revellers under one roof and had the visitors asking for more. · Popular DJs - DJ Jasmeet, Vipul Khurana and Rohit Barker spinned some of the funkiest tracks to make Bengaluru crowd groove to. All in all, BrewBQ Festival 2018 was an epic combination of entertainment and food to enthral Bengaluru city. Partners: Senses Creations (Event Partner), Shizusan, BarBar, Chilis, Harry's, Whitefield Social, Barley & Grapes, Cafe Noir, Smaaash, Taco Bell, California Piza Kitchen, Noodle Bar, Copper Chimney, The Wok Shop, Burger King, Pizza Hut. Classified as a “Larger Lifestyle Engagement Destination”, Phoenix Marketcity Bengaluru offers visitors, an array of unforgettable experiences. With its truly international look and feel, tastefully done interiors and the best of food, fashion and entertainment from the world over, Phoenix remains ‘The’ destination for the premium discerning customers of the city as well expats.